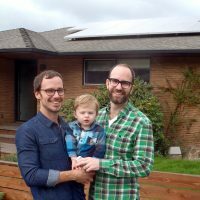 Registration in a Solarize campaign does not bind you to participating in the program or installing solar on your home. Registration simply means that you are interested in learning more about going solar and receiving a site assessment through the Solarize campaign in your area. There is no cost and no obligation for getting a site assessment. Workshops are free and open to the public. We will focus on resources for businesses, but homeowners are welcome to attend. This campaign is currently accepting registrations but there are no upcoming workshops scheduled. We will email if and when new workshop dates are announced. Depending on demand, translation services may be available at some workshops with sufficient notice. How much do you know about the solar PV? How did you first hear about Solarize? You may be contacted directly by a local financial institution. Volunteer in your neighborhood Solarize campaign! You can assist with community outreach activities!